With the blessings of almighty God and the unflinching support of our founders respected Dr. Jagdish Gandhi and Dr. Mrs. Bharti Gandhi, CMS RDSO was all set for new beginning – having new summits to scale to make a mark and excel in everything they would undertake to do in the new session 2017 – 2018. The students of CMS RDSO are trained to be warriors who can fight all hurdles to emerge true winners. Leaving no field unconquered and the are all rounders showing excellence in the sports arena too. CMS, RDSO was established in the year 1964. Under the able guidance of the Former Principal Mrs. SwapnaMansharamani the school made immense progress and now MrsAruna Naidu is leaving no stone unturned in her efforts of taking the school to new heights with her dedication hard work and high sense of discipline. As the blue lavender flower that grows on the hillside among the green ferns and is much sought after for its fragrance and beauty, so grows this unique CMS campus in one corner of Lucknow attracting students from far and near. The high academic standards focus on total personality development, to games and sports and a seriousness of purpose in all its activities this gives CMS RDSO its special place among all the CMS campuses. 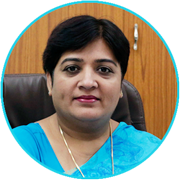 Principal MrsAruna Naidu spares no effort in bringing out the best in each child and inspires the students and teachers to aim high and reach for the stars. With the performance of the students in InIMC 2017, the campus scaled new summits of success. Students of CMS RDSO stand apart for they believe in not waiting for the opportunity but in creating it. Mst. Anshumaan Singh proved his mettle in Mathematics by winning a gold medal in the event. Several other students of RDSO campus were also appreciated for their brilliant performance. Keeping up the record of past years, CMS RDSO once again showed commendable result. 124 students appeared in the ICSE board examination 2018. All the students passed out with 1st division, 80 students scored more than 90%. Ms. KomalHaswani secured 3rd rank in U.P and 7th in India. She scored 98.20%.92 students appeared in the ISC Board Examination 2018. All the students passed out with 1stdivision, 36 students scored more than 90%. Ms. Shrestha Gupta secured 3rd rank in All India ISC merit list 2018. She scored 99.00%. RDSO Campus gave 100% result in the both ICSE and ISC Examination Many students were selected for admission to various engineering, medical and professional colleges of India and abroad thereby making their alma mater proud. The success of our students is built on the partnership we have with the families and the CMS Community. We teach our students to soar to the skies but apprise them that it is in the earth that their roots lie. My heartfelt gratitude to our Founder Manager Dr. Jagdish Gandhi, Founder Director Dr. (Mrs.) Bharti Gandhi, President Prof Geeta Gandhi Kingdon, Director of Strategy Mr. Roshan Gandhi Forouhi, and the Head of QAID Mrs. Susmita Basu who are always appreciative of our efforts and are always motivating us to scale greater heights. CMS, RDSO was established in the year 1964. Under the able guidance of the Former Principal Mrs. SwapnaMansharamani the school made immense progress and now MrsAruna Naidu is leaving no stone unturned in her efforts of taking the school to new heights with her dedication hard work and high sense of discipline. As the blue lavender flower that grows on the hillside among the green ferns and is much sought after for its fragrance and beauty, so grows this unique CMS campus in one corner of Lucknow attracting students from far and near. The high academic standards focus on total personality development, to games and sports and a seriousness of purpose in all its activities this gives CMS RDSO its special place among all the CMS campuses. 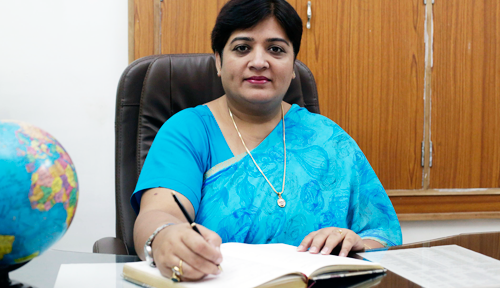 Principal MrsAruna Naidu spares no effort in bringing out the best in each child and inspires the students and teachers to aim high and reach for the stars. EXSPO or Excellence in Sports is an International Sports Olympiad organized by this branch in which the junior and senior level students participate. Events include all track and field items, sports like judo, karate, badminton, table-tennis, chess and team games like football along with the ever popular cross country run or marathon for boys and girls-Sports stars from across the globe come here to inspire the players. The Branch also organizes WIZMIC or International Mathematics Olympiad in which students from different countries gather together to test their skills in Mathematics. They also interact with renowned mathematicians of the world. Annual Parents Day, Sports Day, Model Class Presentation , Divine Education Conferences, Art and Craft Exhibitionetc. are organized by the branch to give a new meaning to education. In the Pre-Primary section, students are taught through story enactment, poem recitation, pictures, music and dance all of which go to make learning a pleasure. The dedicated staff members conduct remedial classes for the betterment of children. Home visit scheme and the teacher-guardian system bring parents and teachers closer to the children. Once the teacher and taught develop a bond of love and understanding, the school becomes an extended family and growth of the child is spontaneous and rapid. In this regard, CMS RDSO has taken great strides and the students remain a class apart with passion in their eyes and strength in their soul.